The Morgan model has 3 Beds and 2 Baths. This 1001 square foot Single Wide home is available for delivery in Indiana, Illinois, Michigan, Ohio, Kentucky, Minnesota, Iowa, Missouri, Wisconsin. This small to medium sized single section mobile home is a splendid choice for vacation properties and small families. The convenient split floor plan separates the spacious master suite from the somewhat smaller guest bedrooms on the other end of the home. 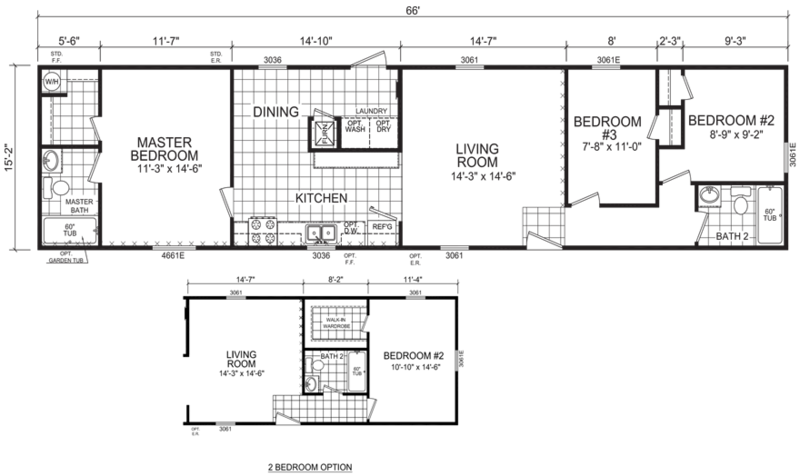 Inquire about the optional two bedroom version, which transforms the guest bedroom closet from basic to a full walk-in. 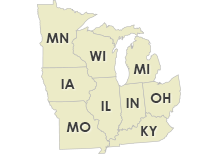 Ask your housing consultant about the other great features that come standard on the Morgan manufactured home.